Simon Stephens’ winsome show, The Curious Incident of the Dog in the Night-time, returns to the West End for a third time. Following its runs at Apollo Theatre and Gielgud Theatre, it will now play at Piccadilly Theatre for a strictly limited season. This tale of a young mathematical whizz is adapted from the novel by Mark Haddon. 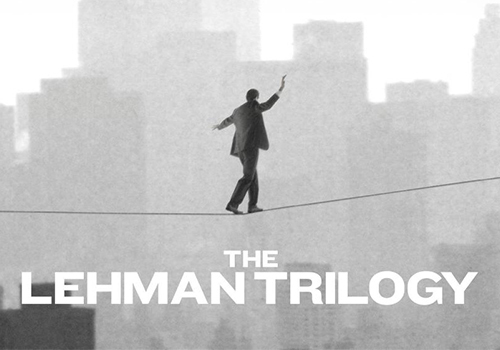 Sam Mendes’ lauded production The Lehman Trilogy transfers to the West End in May 2019. A co-production between the National Theatre and Neal Street Productions, this is the story of the rise and fall of an empire. Following a hugely successful season at the Lyttelton and a forthcoming run in New York, the show will descend on Piccadilly Theatre. The Piccadilly Theatre Box office is open from Monday to Saturday from 10am until the start of the show Tickets can be arranged for collection at the box office and may be picked up from 45 minutes before the performance is set to begin. On collection you will need to present your booking reference and the card on which the booking was made. Parties can also leave tickets at the box office for late patrons. First opening in 1928, the Piccadilly established itself as a major theatrical venue with a production of Jerome Kern's Blue Eyes, starring Evelyn Lane, one of the most acclaimed actresses of the period. Briefly taken over by Warner Brothers in the early years, the Piccadilly hosted the UK's first ever talking picture, The Singing Fool. In 1929, the venue reverted back to a theatre, housing The Student Prince (1929) and Folly to be Wise (1931). Following a brief stint as a cabaret restaurant, the theatre re-opened as the London Casino in 1936, hosting lavish stage extravaganzas. Unfortunately, the theatre was damaged by a bomb during the Second World War and was closed for renovations. The 1950's saw the theatre restored and once again hosting prolific plays, revues and musicals. Who's Afraid of Virginia Woolf?, A Streetcar Named Desire and Man of La Mancha made their debuts at the theatre throughout the 1960's and 70's. In 1964, The Beatles recorded a number of songs for a radio show, whilst 1976 saw Jerome Kern and Guy Bolton's musical Very Good Eddie run for 411 performances. From 1986, the Piccadilly became the host of ITV variety show Live From the Piccadilly, with Jimmy Tarbuck, followed by seasons of dance and ballet, including Matthew Bourne's Swan Lake. Throughout the 21st century, the theatre earned its name on the West End, housing a string of hit musicals, including Ragtime (2003), starring Maria Friedman, Noises Off (2003), Jumpers (2003-2004), Jailhouse Rock - The Musical (2004-2005), Guys and Dolls (2005-2007), which starred a number of names at different times, such as Ewan McGregor, Jane Krakowski, Jenna Russell, Douglas Hodge, Nigel Harman, Patrick Swayze, Ben Richards, Sally Ann Triplett, Neil Morrissey and many more. Further notable productions include Grease (2007-2011), starring Siobhan Dillon and Ray Quinn, Ghost the Musical (2011-2012), starring Richard Fleeshman, Jennifer Saunders' Viva Forever! (2012-2013) and Dirty Dancing - The Classic Story On Stage (2013-2014). In recent years, the Piccadilly Theatre has played host to Jersey Boys (2014), which transferred over from the Prince Edward Theatre and continued to play to packed out audiences until March 2017. Following the departure of musical sensation Jersey Boys, which embarks on a UK tour, the Piccadilly plays host to the return of Russian company Sovremennik Theatre, who play limited performances of Three Comrades, Two for the Seesaw and Three Sisters. May 2017 sees beloved musical Annie revived at the theatre, directed by Nikolai Foster and starring Miranda Hart, Craig Revel Horwood and Meera Syal as the harridan Miss Hannigan. Annie closed in February 2018, with Drew McOnie's production of Baz Luhrmann's Strictly Ballroom arriving, starring Will Young. 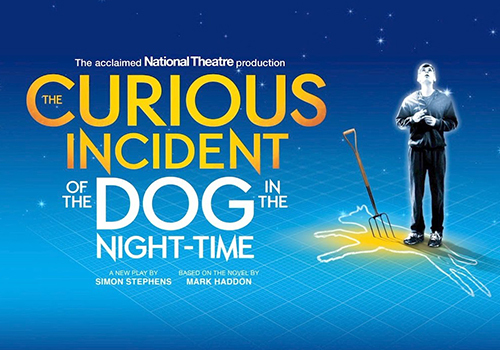 2018 also saw the West End return of audience favourite The Curious Incident of the Dog in the Night-Time, and 2019 will see the National Theatre's epic The Lehman Trilogy transfer to the theatre.